For IT News Week 5 Jun 2017.
iPay88 Sdn Bhd, an NTT Data company, a fully homegrown Malaysian payment gateway provider is targeting the global e-commerce market while it continues to expand in SEA. iPay88's first international footprint was set in Indonesia in 2006, followed by the Philippines in 2014. Today, iPay88 is one of the leading payment gateway providers in Indonesia as well as the Philippines. Market expansion to a region as diverse as ASEAN and Asia Pacific is not easy as each country's online payment environment is unique and business environment varies. “Apart from our strong presence in Southeast Asia, we have since expanded our footprint to other parts of Asia including Hong Kong and Bangladesh,” says Co-Founder and Executive Director Chan Kok Long. Features of Moto Z2 Play with Moto Mods. The all new Moto Z2 Play is now available for sale at all authorised Lenovo Mobile dealers and retail outlets. 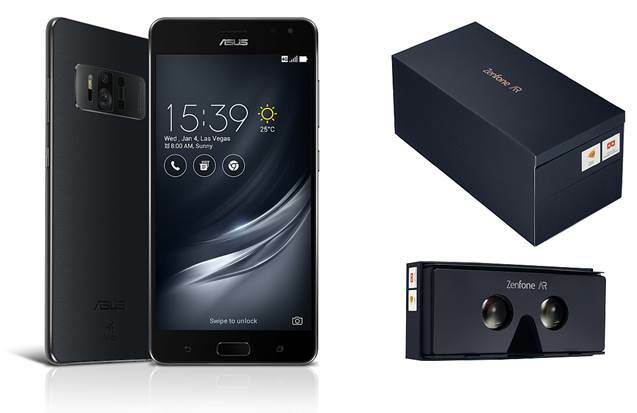 It is available in two colour variants - Lunar Gray and Fine Gold; and retails at RM1,999. 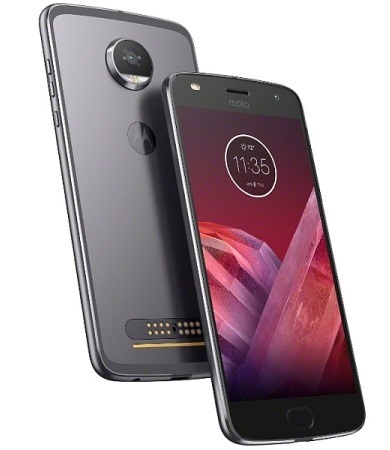 The first 1,000 customers who purchase the new Moto Z2 Play phone with authorised dealers and retail outlets will receive a special, exclusive gift box (Carbon Fiber Style Cap, Moto Z2 Play Metal Phone Frame, Motorola Selfie Stick and Nano Liquid Film) worth RM299. While stocks last. Between 7 to 12 July 2017, customers in Klang Valley can keep a lookout for the Motorola cars and stand a chance to win a new Moto Z2 Play worth RM1,999 and daily prizes! For more information on contest mechanics, cars’ route and details, follow www.fb.com/MotoMsia. The recent WannaCry and ExPetr epidemics have proven to many businesses the crippling impact of having their files held at ransom by cybercriminals. An astounding 200,000 systems were affected by the WannaCry attack in 150 countries in May, grinding businesses to a halt and incurring staggering costs as companies fought to solve the issue and get back up and running. Awareness of the severity of ransomware is rising, and against this backdrop, an increasing number of businesses are now seeking to maximize their protection with minimum resources. This trend has been brought to light by the fact that 100,000 businesses have downloaded Kaspersky Anti-Ransomware Tool in the last 12 months. Kaspersky Lab is today introducing a new generation of its Kaspersky Anti-Ransomware Tool for Business, which has been developed based on the firm’s 20 years of experience at the frontline in the battle against cybercrime, to continue delivering the latest best-of-breed anti-ransomware technology to businesses for free. While the ’Global IT Security Risks Survey 2017’ from Kaspersky Lab and B2B International has revealed that the total financial impact of a ransomware attack on a company can amount to $713,224 on average, this updated tool means businesses that don’t ‘WannaCry’ about ransomware threats don’t have to. Organizations that are looking to build on the protection offered from the Kaspersky Anti-Ransomware Tool can explore Kaspersky Lab’s comprehensive next-generation security solutions for business of any size. PR - Jul 6, 2017 - Impressive new software update for the HUAWEI P10 and P10 Plus with its “Moving picture” feature. HUAWEI P10 and P10 Plus are set to get even better with the upcoming release of its latest software update. The update underscores HUAWEI’s commitment to enhancing user experience and meeting consumers’ needs. The impressive update follows a series of recent updates by HUAWEI, shortly after the update to the MediaPad M3 with the EMUI 5.0 update just last month. Relive moments before and after clicking the shutter with the new Moving picture feature. With this new update, users can fully explore their creativity and add character to their still images. 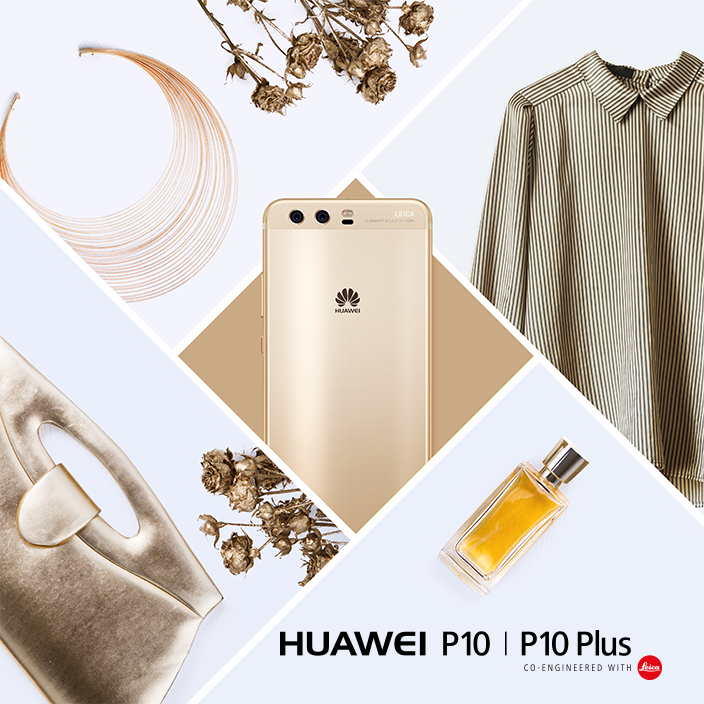 Through the rear dual-camera set up and Leica front camera, HUAWEI P10’s Leica Dual-Camera 2.0 and HUAWEI P10 Plus’ Leica Dual-Camera 2.0 Pro Edition, users can capture quality images with their mobile devices and breathe life into still images! Milestone Systems today announced the successful implementation of an integrated video surveillance solution for Thailand’s largest state-owned power producer, the Electricity Generating Authority of Thailand (EGAT). Thailand’s leading state-owned power utility manages hydropower plants in classified and sensitive areas, relying heavily on video footage to monitor sites and enhance security. As a single plant sometimes requires more than 200 cameras, EGAT needed a scalable and cost-efficient video surveillance system. 8 Bit Solution, a trusted provider of Milestone solutions, carried out a comprehensive needs analysis evaluation process for EGAT. Milestone’s XProtect® video management, a cost-effective solution, was selected to manage and integrate existing cameras located at all six hydro power plants, without causing disruption to daily operations. Since 2012, Japan’s SoftBank Group spent almost US$98.5bn across 57 acquisitions globally. Mergermarket has released infographic SoftBank Group’s Soaring Ambitions. Since 2012, USA, United Kingdom, China, Japan and India received 93% of Softbank capital allocation. This year alone, SoftBank announced 14 deals worth US$13.8bn. Oracle recently conducted a survey of IT professionals in Malaysia and across APAC about the state of their cloud infrastructure implementation and how they expect to use the technology in the coming years. Our research tells an intriguing story about IaaS, and its place in a constantly-evolving business technology landscape. While concerns and misconceptions persist, we find these drop off as businesses adopt the technology and encounter its benefits first-hand. Two-thirds (64%) of businesses in Malaysia that are already using IaaS to some extent, say it makes it easier to innovate. The same proportion says moving to IaaS has significantly cut their time to deploy new applications or services. Furthermore, 50% say IaaS has significantly cut on-going maintenance costs and 59% of all respondents believe businesses not investing in IaaS will increasingly find themselves struggling to keep pace with businesses that are. The research also found that experienced users are almost twice as likely to believe IaaS can provide world class operational performance in terms of availability, uptime and speed, compared to non-adopters. Although some fear the move to IaaS may be complicated, 64% of experienced IaaS users say the move was easier than they expected. Most Malaysian respondents agree IaaS will have a role to play in their business within three years, with 46% saying they will run most – or all of their business IT infrastructure on IaaS. Only 21% of respondents believe IaaS will still have little or no role in their business in three years. Ruckus Wireless, a part of Brocade, announced its fourth generation wall-mounted access point (AP) designed to provide hotel guests with fast, reliable Wi-Fi. The Ruckus H320 all-in-one-AP and switch features the latest 802.11ac Wave 2 technology – the highest-performance Wi-Fi standard – to satisfy steadily increasing in-room bandwidth requirements. This delivers the required quality of service to meet guest requirements for high-performing Wi-Fi to support their business and personal needs. The introduction of the H320 AP adds on to Ruckus Wireless’s industry-leading portfolio of in-room, wall mounted, all-in-one APs and switches. Sophos, a global leader in network and endpoint security today announced that NSS Labs has rated the Sophos XG Firewall as one of the highest performing firewalls in the industry in its most recent Next-Generation Firewall Group Test Report . 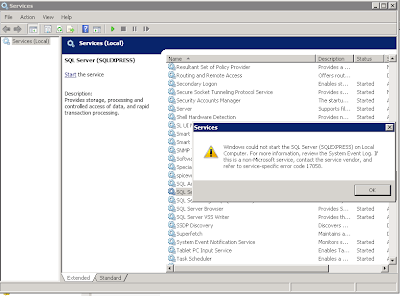 The XG Firewall was “Recommended” as one of the top three products for security effectiveness. It passed all stability and reliability tests, offering some of the highest levels of protection and performance at great value. The NSS Labs evaluation included 11 market leading next-generation firewalls, which were rated for security effectiveness, performance, stability and reliability, and total cost of ownership (TCO). The Sophos XG Firewall out-performed many other market-leading products across the stringent test criteria, placing it amongst the top-ranks of the seven products that also earned the NSS Labs ‘Recommended’ rating. 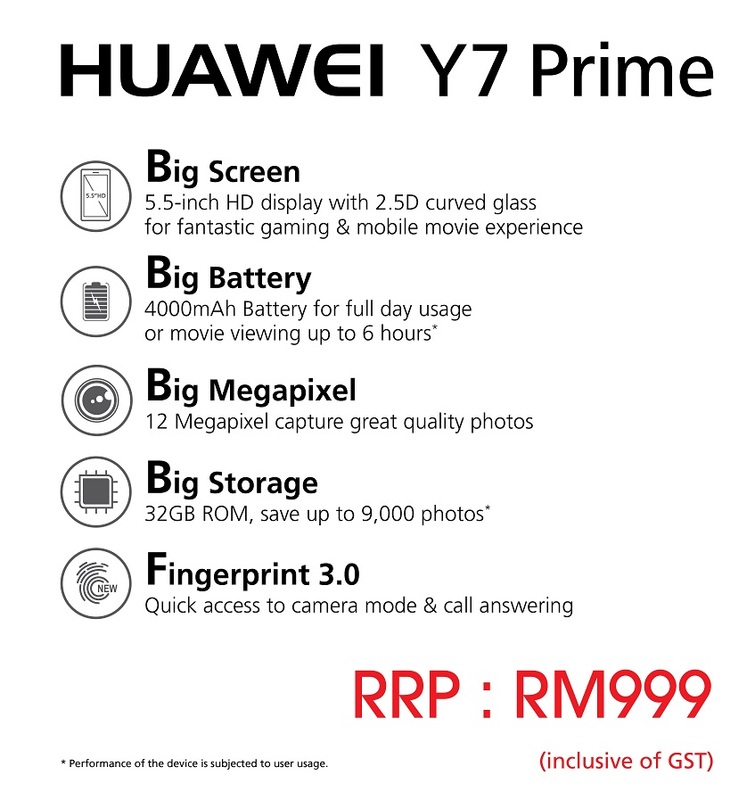 More great treats from HUAWEI Malaysia are in store as the company has today announced the upcoming release of its HUAWEI Y7 Prime. 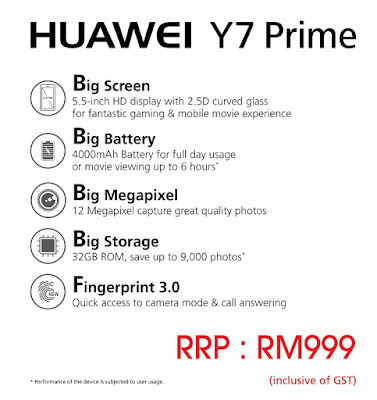 Available at all HUAWEI Experience Stores and HUAWEI Display Zone from the 7th of July, the device retails at only RM999.00 and is ideal for Malaysians who look for simplicity and functionality in one big package. “The premium range of HUAWEI smartphones have been performing tremendously in Malaysia and we are very encouraged by the strong support received here. As a sign of our commitment to the Malaysian mobile devices market, HUAWEI aims to expand our mid-range consumer smartphones segment, further allowing relationship growth with even more audience segments,” said Matthew Ng, Deputy Country Director Business Group, HUAWEI Technologies Malaysia. The all-new HUAWEI Y7 Prime is powered by Qualcomm Snapdragon 435 Processor with 3GB of RAM, 32GB internal storage and expandable storage up 128GB. Rocking a full metal build with a sandblasted finishing that gives a premium touch and feel, the Y7 Prime features an impressive 4000 mAh that can last users a full day of activities – be it photography, video recording and catching up on social media feeds.